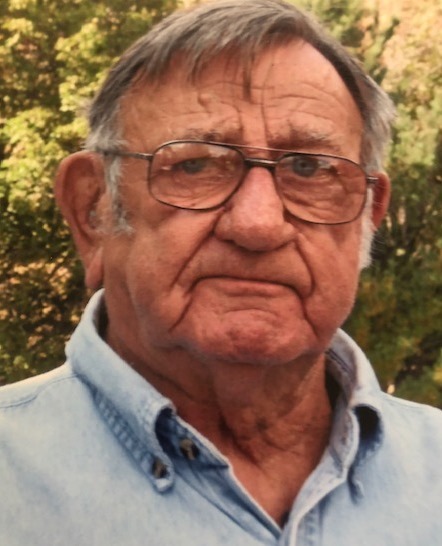 Lowellville - Robert Lee Watson "Sport", 84 of Lowellville, died October 22, 2018 at his residence. Mr. Watson was born April 25, 1934 in Youngstown, a son of Charles and Florence (Glasier) Watson. He was a 1952 graduate of Woodrow Wilson High School. Bob was a veteran of the United States Navy, where he served from 1955-1961. He worked in the Plumbers and Pipefitters Local (former 225) 396, retiring in 2007. Bob was a member of the Johnson Club and Croatian Club in Bessemer, Pa. He is survived by his wife, the former, Rosemary Beight, whom he married April 25, 1971; five sons, Jim (Deb) Watson, Ken (Cheri) Lupton, Tom (Gale) Watson, Bob (Andrea) Lupton, and Chuck (Michele) Watson; one daughter, Beth Scocchera; 11 grandchildren, Susan (Steele) Derringer, Brett (Erica) Parsons, Bryan (Mallory) Parsons, Keith (Celia) Lupton, Travis (Courtney) Lupton, Casey Watson, Robert (Amanda) Lupton, Zach Scocchera, Trevor Watson, Austin Watson and Courtney Watson ; 11 great-grandchildren, Miranda, Mckenna, Madison Flitton, Leah and Brock Parsons, Emma and Benjamin Parsons, June and Aaron Lupton, TJ and Melody Lupton; great-great-granddaughter, Emerysn; sister in law, Phyllis Watson; two nieces, Kari (Dan) Kibby and Stacie (Klynt) Maston; two nephews, Rick (KC) Watson and Bruce (Patty) Watson; and his best friend, John Prater. Besides his parents, Bob was preceded in death by two brothers, Charles and Calvin Watson; and one grandson, Dylan Lupton. Services will be held at Cunningham-Becker Funeral Home Poland, 270 N. Main St., Poland, Thursday at 6:30 PM. Friends will be received Thursday from 4:00 PM to 6:15 PM at the Cunningham-Becker Funeral Home Poland, Poland,Ohio. Rosemary and Beth want to give a special thank you to: Jim Watson, Bob and Andrea Lupton, Rick Watson, Zach Scocchera, Dolores Ipe, Robin Montgomery, and John and Janell Prater for their time assisting in Bob's care.